Budget Airport Transfers is dedicated to providing reliable airport cars and transfers for customers across Bristol, Cardiff, Avon, Wiltshire, Newport, Wales and the Southwest at discount rates. 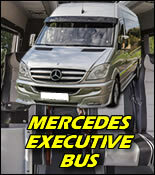 Our excellent rates start from just £50 for Mercedes and Lincoln luxury airport cars! 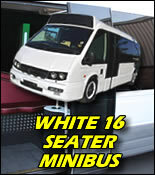 For larger parties, we have proven to be much cheaper per person than taxis or minibuses! For the refined traveller, we offer modern, stretched and saloon length chauffeur cars fitted out by the most reputable companies in Europe and the United States. 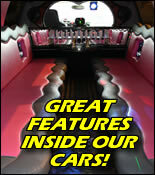 Traditional Lincoln Town Cars in white and pink! To request more information, make a booking or find out what we can do for you, simply click on the 'Transfer Bookings' tab at the top of the page or call us on 0845 260 2061 and mention this website! With The Best Vehicles And Affordable Rates - Make Us Your First Choice For Bristol Airport Cars! Bristol Limos | Limo Hire Newport | Parkers Executive Cars | Swansea Limos | LimoMedia Website Design. All content © Speedway Designs Ltd & The Limo People Ltd. No part of this website may be reproduced, copied, distributed, resold or duplicated in any way with out prior permission from Speedway Designs Ltd.